No one understands how a protective search glove needs to perform better than the police and corrections officers who use them. That's why TurtleSkin Search Gloves were developed with feedback from officers from across the country. The patented TurtleSkin material in the palm provides 11 times more protection than ordinary police gloves against the 28-gauge hypodermic needles commonly used by drug addicts. Featuring ultra-protective material as thin as 3 sheets of paper, these search gloves are more comfortable and more puncture resistant than thick protective gloves. 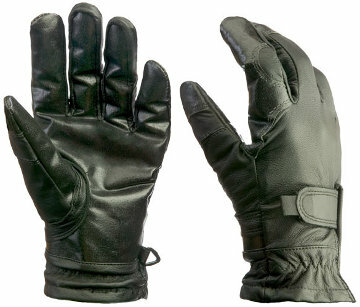 TurtleSkin Search Gloves feature a machine-washable leather shell in combination with needle puncture and cut-resistant palms and fingertips.